Stone 21st Anniversary Hail to the Hop Thief Double IPA will hit stores this week, bringing with it a bold, hoppy profile, customary of the brewery’s anniversary beers. The beer’s distinctive combination of hops used alongside wheat malt are brand new territory for the Stone Brewing team, making it a beer to mark history, as it goes down in history. 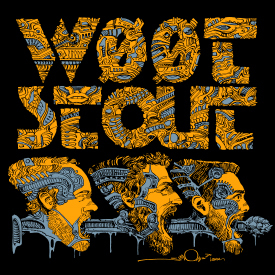 Extreme beer geekery meets the collective goings on of extreme geekery beginning the week of July 10 when Stone Brewing releases the latest regeneration of its nerdiest collaboration beer—Drew Curtis / Wil Wheaton / Greg Koch Stone Farking Wheaton w00tstout. The specialty imperial stout in 22-ounce bottles and draft will invade retailers, bars and restaurants in select markets nationwide. 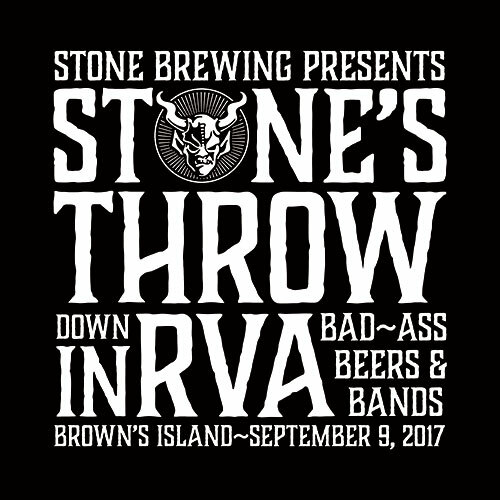 Stone Brewing announces a festival curated with the same artful consideration as its approach to beer. Paying homage to the people of Richmond one year following the company’s first local brew, the festival entwines independent craft beer with a full day lineup of artists as vibrant and distinctive as the region’s beers themselves. Bands taking the stage have been selected by Stone out of respect for their rugged independence, bold individuality and downright badass sounds. 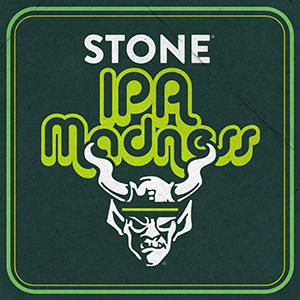 Stone Brewing is now serving up an ensemble of steadfast selections including the highly anticipated return of Stone Mocha IPA and Stone RuinTen Triple IPA w/ Orange Peel & Vanilla Bean, along with the debut of Stone Ghost Hammer IPA. 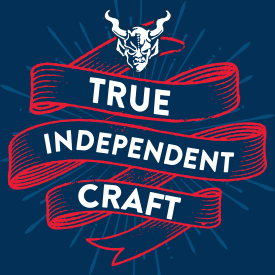 As a continuing effort to offer liberation from complacency and the status quo, Stone Brewing remains staunchly dedicated to promoting the idea of True Independent Craft throughout June with assertively pointed messaging geared to incite craft beers fans nationwide. In this landscape of constant change in the craft beer industry, this message resonates deeply with those who stand by these core values… which are fundamentally an independent ethos and an artisanally-rooted philosophical point of view. 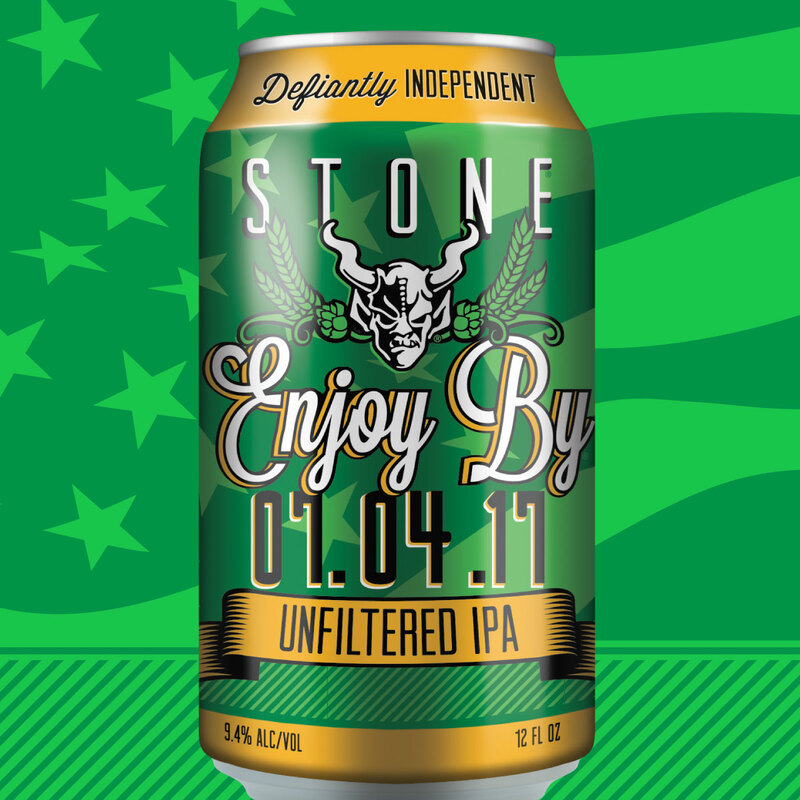 For the first time ever, a Stone Enjoy By IPA will be available in cans with the latest release: Stone Enjoy By 07.04.17 Unfiltered IPA. Defiantly independent, this unfiltered, unabashed and devastatingly fresh IPA will inspire compatriotism among hop heads everywhere. With the pull of a tab, you ‘ll hear the rallying cry: “Stone Wants You to Enjoy Fresh Beer!” Perfectly timed for hop fanatics seeking the freedom to explore the great outdoors, cans offer an easy and convenient option to enjoy the freshest Stone beers possible. 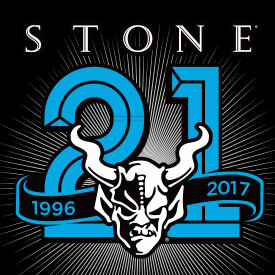 Stone Brewing is off to a hot start in 2017, reporting 18% growth versus the prior year. 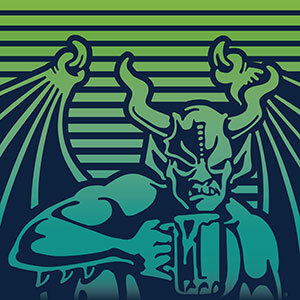 Stone Brewing’s performance is far outpacing both the year-to-date, IRI-stated grocery craft category growth of 4.4% and the category’s 52-week growth rate of 6.4%. 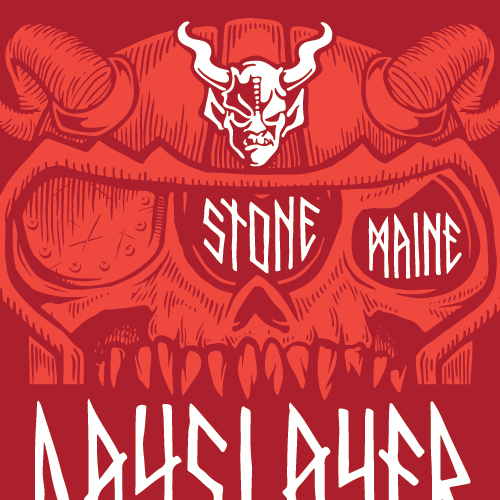 Today, Stone Brewing unveils the second riff in an ongoing heavy metal collaboration series, that once again reinforce Stone’s commitment to craft, exemplifying epic collaboration and chart-topping innovation. Here at Stone Brewing, we’ve been getting a few questions…and a virtual tsunami of media that’s taken a healthy dose of creative liberty…about Stone Full Circle Pale Ale, a beer we brewed with purified reclaimed water to help promote @PureWaterSD at an event last week. We were honored to participate and wanted make the story of this awesome beer a bit more clear. Responses from Jeremy Moynier, Stone Brewing's Senior Innovation Program Manager. Virginia may be for craft beer lovers, but are all Virginians making sure they are drinking nothing but the freshest brews? Probably not. “The aging process of beer can degrade some of the flavor and aroma compounds over time to a point where the beer is deviated from what the brewer originally intended,” said Jeff Martin, quality assurance manager at Stone Brewing in Richmond.  Founded in 1996 in Escondido, California, Stone Brewing has become one of the most respected craft brewers in the world with satellite operations in Richmond, Virginia, and Berlin, Germany. While the Enjoy By series has recently garnered the respect of beer drinkers across the country, its the 20-year-old Stone IPA, which features seven different hops, that helped put West Coast IPAs on the map. The Brewers Association (BA), the nonprofit trade group which represents "small and independent" craft brewers, has announced the launch of a new seal to designate beers that are produced by "independent" craft brewers. Craft brewers are an increasingly popular segment of the $107 billion U.S. beer market, comprising around 1/5 of brew sales in 2016. When Stone Brewmaster Mitch Steele left the company to start a new venture last year, there was little question about how the brewery would continue its operations. Mitch was a highly respected and beloved figure at Stone—in fact, he is a rock star in the craft beer industry—and he had built a company-wide culture of cooperation and teamwork that was so successful it was sure to thrive even without him there. 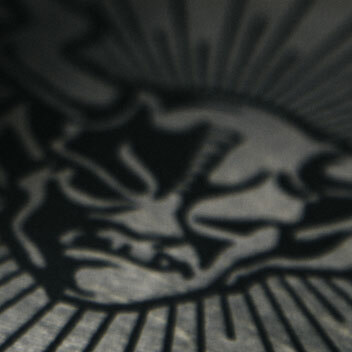 Stone Brewing made a bit of a splash in beer news last week. At a private event held on March 16, Stone Brewing served up Full Circle Pale Ale, an exclusive brew created to promote Pure Water San Diego, a program seeking to provide a portion of the city’s water supply with local water using technology that turns recycled water into safe and high-quality drinking water. Southern California beer makers Stone Brewing unveiled their first beer made exclusively from wastewater this month and, based on the feedback they got, it's another winner for the well-decorated brewery. The brewery recently unveiled a batch of what they're calling Full Circle Pale Ale, beer made from recycled water from the San Diego’s Pure Water project. Local craft beer power house Stone Brewing took home six awards at the RateBeer Best 2017 ceremony including “Best Place for Beer in the United States" recognizing Stone Brewing World Bistro & Gardens - Escondido. It’s the 1 million barrel question: As beer sales slacken and competition tightens, how can San Diego County’s breweries — 136 at last count — survive? On Albuquerque's industrial northern fringe, down a side street flanked by auto-parts stores, I found the wellspring of American beer. I’d been traveling; I was parched. What I discovered rewrote my understanding of American beer.